Firstly, install iTunes. Ah, I know you don’t want to but it just for the USB drivers. Next, download the latest version of Winamp from here and install it. 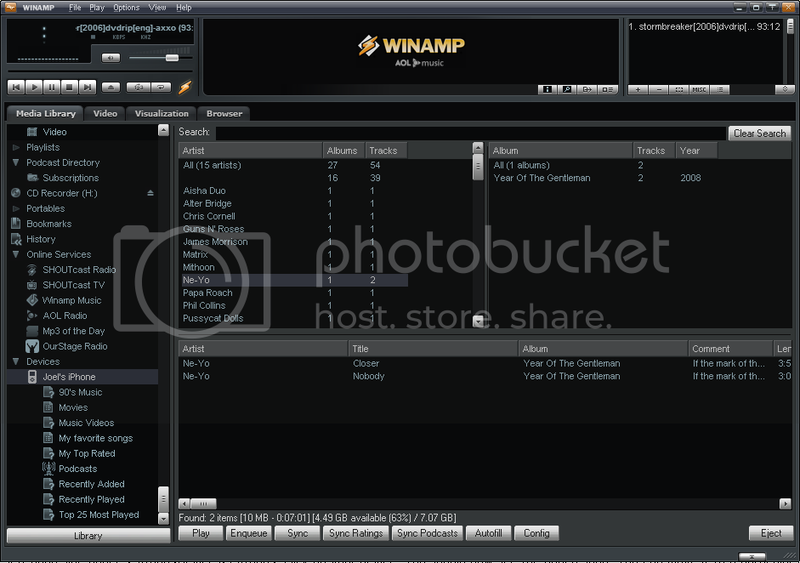 Now get the iPod support Winamp plugin to enable you to sync music with your iPhone or iPod. Once you do the above things you can now start Winamp. Once started connect your iPhone or iPod. You should see your device under the head ‘Devices’ on the left hand side. Now go to File> Add media to library. 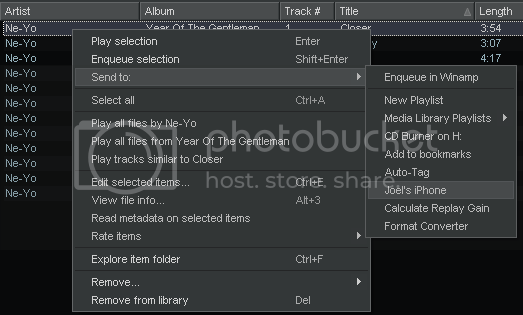 Select the music files you want to add to library. You’ll find the added stuff under the head ‘Local Media’. Now select a particular song(s) from the media and then right click on it and ‘Send to‘ your device. I chose send to ‘Joel’s iPhone’ as that’s the name for my iPhone. Now on the left hand side under ‘Devices’ click on your device. You should now see the added song. You can move it to a particular playlist my right clicking on it and selecting ‘Send to playlist…’. 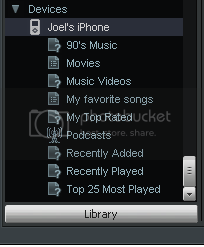 That’s it, once done click on ‘Eject’ on the right hand bottom side of Winamp. Once the Sync is complete you can remove your iPhone or iPod.